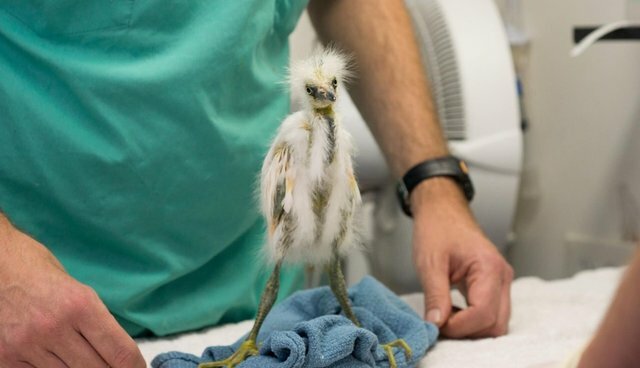 This young snowy egret chick's life was off to a rocky start after he was discovered likely having fallen from his nest -- but thanks to the caring folks at the California Wildlife Center, he's now back on his feet and striking this most adorable of poses. The non-profit, whose mission to rescue, rehabilitate and release native wildlife, cared for about 4,500 needy animals last year alone -- more than half of which were fledglings, like this little guy, who became separated from their parents. "It's baby season! With orphaned babies like this Snowy Egret arriving every day, we're especially grateful for donations," writes the CWC.